This is a Fuel Ticket. 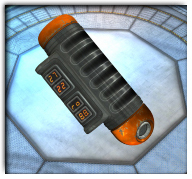 This fuel ticket is valid for 2,000 units of in game fuel. When a Ticket is purchased it is added to your account and you can visit any in game Fuel Depot and top up your tanks at will. ONLY Tickets purchased in this manner are able to be used at a Fuel Depot. Normal fuel purchases are added directly to your account. Please note : as with all purchases we attempt to add them to your account as quickly as possible during UK working office hours, outside this there may be a delay.